Purchasers of AstraZeneca LP’s heartburn medication Nexium were not entitled to a new trial to their challenge of "reverse payment" agreements between AstraZeneca and Ranbaxy Pharmaceuticals that allegedly blocked the entry of a generic version of the drug, the U.S. Court of Appeals in Boston has decided. The plaintiffs’ argument that the trial court improperly limited their causation theory was rejected and the jury verdict was therefore affirmed (In re Nexium (Esomeprazole) Antitrust Litigation , November 21, 2016, Lynch, S.). AstraZeneca manufactures the brand drug Nexium, a proton pump inhibitor containing esomeprazole magnesium prescribed to treat heartburn. The company holds several patents relating to the drug. In 2005, generic drug maker, Ranbaxy Pharmaceuticals filed an Abbreviated New Drug Application (ANDA) with the Food and Drug Administration (FDA), seeking to market a generic version of Nexium. Teva Pharmaceutical Industries, and Dr. Reddy’s Laboratories (DRL) also filed ANDAs, seeking to market generic Nexium. AstraZeneca responded by filing patent infringement suits against the three generic manufacturers. Subsequently, AstraZeneca entered into settlement agreement with the generic manufacturers, which ended the three suits and suspended the entry of generic Nexium into the market. Wholesale drug distributors (Direct Purchasers), health and welfare funds, (End Payors), and several retailers filed a series of class action suits against AstraZeneca and the three generic drug manufacturers—Ranbaxy, Teva, and DRL—for allegedly entering into reverse payment agreements to delay generic competition for Nexium. In December 2012, the Judicial Panel on Multidistrict Litigation consolidated and assigned the pending actions to the federal district court in Boston. In February 2014, AstraZeneca was granted dismissal of all claims arising from its settlement with DRL on the ground that the plaintiffs failed to show that the settlement agreement constituted a large, unjustified reverse payment. Subsequently, Teva and DRL settled the litigation. Following a six week jury trial in the federal district court in Boston, the jury found that, although the plaintiffs had proved an antitrust violation in the form of a large and unjustified reverse payment from AstraZeneca to Ranbaxy, they did not show that they suffered an antitrust injury that entitled them to damages. The district court denied the plaintiffs’ motions for a permanent injunction and new trial in July 2015 and the plaintiffs appealed. Summary judgment. Any error at summary judgment was rendered harmless by the jury verdict and by later trial proceedings on the issue of patent invalidity, the appellate court found. 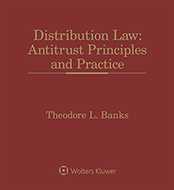 The plaintiffs’ contention that the district court erred at summary judgment by narrowing the number of causal mechanisms through which they could attempt to show an antitrust violation and injury was rejected. Evidence of certain causal connections purportedly excluded at summary judgment was in fact put before the jury as relevant to other plaintiffs’ theories. Even if those causal connections were not foreclosed, the outcome would have been in favor of the defendants, the court explained. Furthermore, the district court did not err in requiring some evidence of AstraZeneca’s patent invalidity or non-infringement before allowing the plaintiffs to pursue an at-risk launch causation theory. 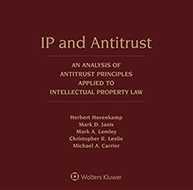 According to the appellate court, the plaintiffs chose not to pursue either patent invalidity or non-infringement at trial and any decision to limit such evidence was voluntary on the part of the plaintiffs. 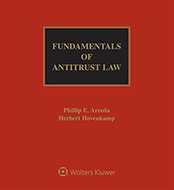 Thus, the plaintiffs had the opportunity but failed to convince the jury that an antitrust injury occurred. Evidentiary rulings. Additionally, the district court did not abuse its discretion in refusing to admit the plaintiffs’ expert testimony, the appellate court found. First, the expert testimony regarding the "Event Study" methodology—an econometric analysis of stock market data used to estimate an objective entry date without a reverse payment—was properly excluded since it did not fit the conclusions for which it was offered. Second, excluding the expert’s testimony on the size of the reverse payment was harmless in light of the jury’s finding that AstraZeneca made a large and unjustified payment to Ranbaxy. Overarching conspiracy. The appellate court also found no error in the district court’s grant of judgment as a matter of law on the plaintiffs’ overarching conspiracy claim. The plaintiffs’ contention that the parallel contingent launch provisions of AstraZeneca’s settlements with each generic drug maker was evidence of one overarching conspiracy was rejected. The district court correctly determined that there was insufficient evidence that Ranbaxy and Teva conspired together, or that they acted otherwise than in their own individual best interest. Jury instructions. Finally, the special jury verdict form and jury instructions did not contain reversible error, according to the appellate court. Although the jury verdict form may have been "inartfully phrased," in the context of the thorough jury instructions provided by the district court and the plaintiffs’ own failure to preserve its objections after the jury was charged, the plaintiffs’ objections were forfeited on appeal, the appellate court concluded. The cases are Nos. 15-2005, 15-2006, and 15-2007. 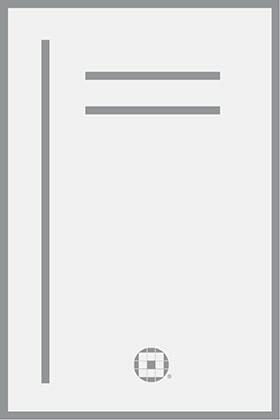 Attorneys: Thomas M. Sobol (Hagens Berman Sobol Shapiro LLP) for Direct Purchaser and End Payor plaintiffs. Barry L. Refsin (Hangley Aronchick Segal Pudlin & Schiller) for retailer plaintiffs. Kannon K. Shanmugam (Williams & Connolly LLP) for Astrazeneca LP, Astrazeneca AB, and Aktiebolaget Hassle. Jay P. Lefkowitz (Kirkland & Ellis LLP) for Ranbaxy Pharmaceuticals Inc., Ranbaxy Inc., and Ranbaxy Laboratories Ltd.
Companies: American Sales Company, LLC; Astrazeneca LP; Astrazeneca AB; Aktiebolaget Hassle; Ranbaxy Pharmaceuticals Inc.; Ranbaxy Inc.; Ranbaxy Laboratories Ltd.